This is the last round of our SX Ticket Giveaway! This week's tickets are for AMA Supercross at the Rice-Eccles Stadium in Salt Lake City! 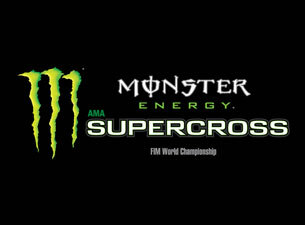 Two (2) tickets to the Monster Energy AMA Supercross at Rice-Eccles Stadium on Saturday, April 30, 2011. The tickets will be mailed to your provided address via USPS Priority Mail on Tuesday, April 26, 2011. This is the last Supercross Ticket Giveaway from Appalachian Offroad MC but the outdoor nationals are just around the corner! Watch for more free MX tickets from AOMC this spring & summer! Congratulations to Corilynn Clawson Bride on Facebook and @tjaybelt on Twitter for winning our free Salt Lake City Supercross Tickets! I hope you guys have fun at this weekend's race!